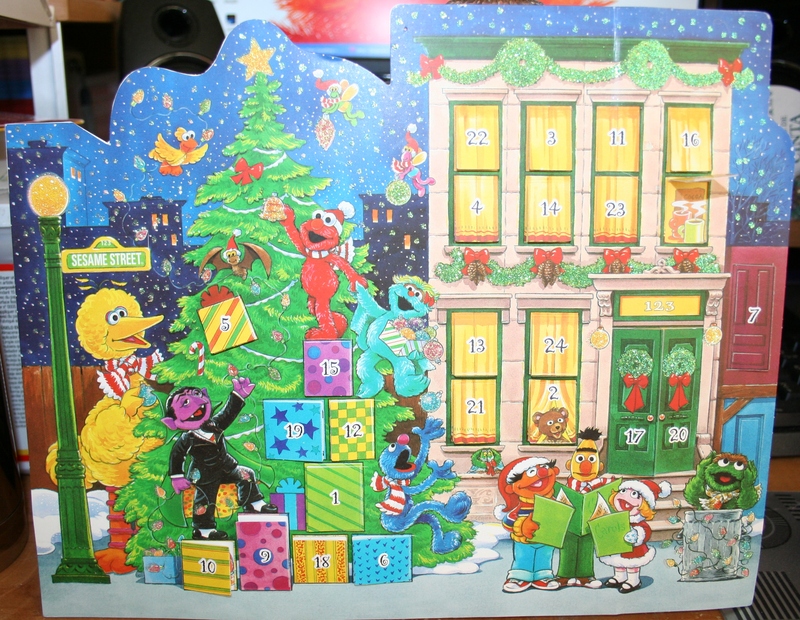 I have always loved Advent Calendars ever since I was a kid. My parents bought me one that you colored in with these beautiful markers. (I am betting it is in the basement somewhere.) I really cherished this particular one for some reason. I also loved opening any windows where you would find chocolate. The reason for the season? Chocolate! When I got married, I wanted to find another special calendar, but this time, it did not have to involve chocolate. We found one featuring the characters from Sesame Street. For thirteen years, we have put up this particular calendar. 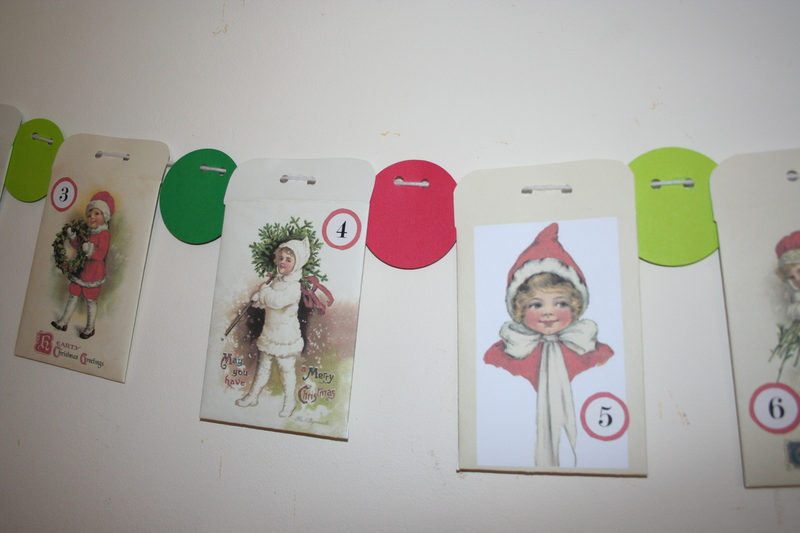 I started reading craft blogs and found so many cool ideas for advent calendars. If we had the space, I would probably make one of every kind! But, I had to narrow it down to just one kind that felt special to us. 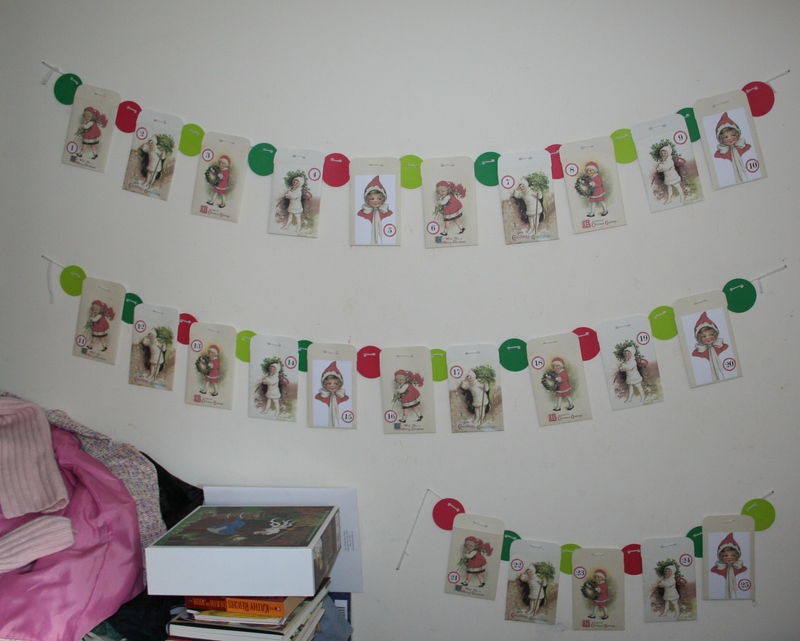 I came up with the idea (from several other people’s ideas) of making envelopes and hanging them on a string somehow. In each envelope, there would be an action to take. The idea for us was to find activities to do together. I will make a post on this part next. I found these envelopes at Go Make Something. There were only four, and I needed five, so I used this image from The Graphics Fairy to make a fifth envelope. 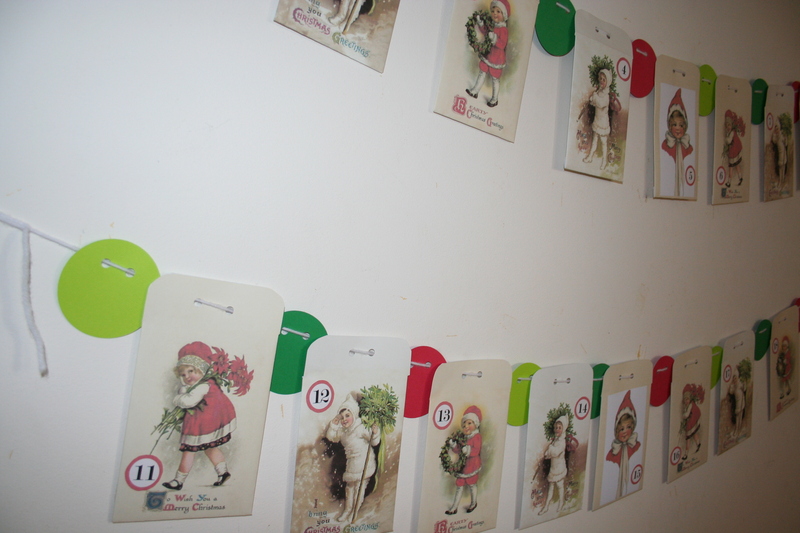 For the numbers, I used the circles from this advent kit by Just Something I Made. I printed them out on white cardstock. Then I cut each one out, folded and taped them. I left the top flap straight. I punched two holes into the top and then threaded each envelope onto some white yarn. In between each envelope, we used our Cricut machine to make 2.5 inch circles on the red, green, and light green scrapbooking paper. I also cut two holes into those and put them between the envelopes as I went. Stay tuned for more about the cards inside each envelope. This entry was tagged advent calendar, countdown calendar. Bookmark the permalink.